Black Edition means the bars, stem, and seatpost are black rather than the usual silver to create an even more distinctive version of this most famous folder. To make it stand out even more, as well as the all-black version, you can opt for your Black Edition bike to come with a Lagoon Blue, Lime Green or Orange main frame. 'M' means that this is an M-Type Brompton folding bike. This means that it has Brompton's U-shaped bars, which bestow a comfortable upright position. '6' refers to its BWR [Brompton Wide Range] gearing which combines a 3-speed hub gear with a simple derailleur which moves the chain between two cogs to give you a decent range of 6 evenly-spaced gears. 'L' is Brompton code for coming ready fitted with mudguards. Every Brompton now comes with a simple Saddle Height Insert which automatically resets the seatpin at the correct height whenever you unfold the bike to ride it. Brompton's continued growth and success is based on starting with a great idea - what is generally considered the best folding bike design - and then continually developing it as witnessed with this Black Edition Brompton. For more information on these fabulous folding bikes visit our Brompton Blog. Brompton Bicycle have launched their 2018 Black Edition bike complete with all new colour finishes, premium Black Lacquer and Turkish Green. Inspired by city life at night, the Black Edition replaces the classic silver wheel rims, spokes and seat post with black componentry. 'The Black Edition will be available to order in models S, M and H types with both 2 and 6 speed options available. Along with the new Black Lacquer and Turkish Green, the Black Edition mainframe is also available in Black and Orange. The Black Lacquer is an alluring finish with the braze still visible, but through a smoky, blackened lacquer. The new paint plant at their London factory has enabled the development of this new finish. Configurable options include the mainframe colour, standard, extended or telescopic seat pillar, standard or wide Brompton saddle, standard, marathon or Kojak tyres, firm suspension, reflectors, battery or Shimano Dynamo lighting and front carrier block. Prices start at £1,000, with the premium Black Lacquer finish costing an extra £250. The successful edition, which was first launched in 2015 attracts a younger urban cyclist discovering the freedom of a Brompton bike as they explore city life. Although the bike is rated highly for style, with its sleek and smart finish it still retains all of the original, carefully considered design features that make Brompton the icon it is today. 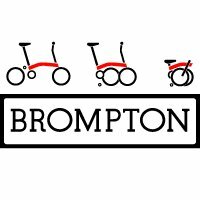 Stephen Loftus, Chief Sales & Marketing Officer said; “Our first two Black Editions were a huge success reaching new audiences for Brompton. We are looking forward to bringing the Black Edition back this year, and are particularly excited by the introduction of our new premium Black Lacquer finish” The Black Edition is a special edition bike and is available at all Brompton Junction stores and selected dealers for a limited time. Prices will vary worldwide. Standard or telescopic (inside leg up to 39 inches).